Brinno has unveiled a new addition to their range this month in the form of the new Brinno TLC200 Pro instant HDR time lapse video camera. The Brinno TLC200 Pro has been created to provide an easy solution to taking time-lapse video photography and take the pain out of setting up your video gear. Check out the videos after the jump to see the results. 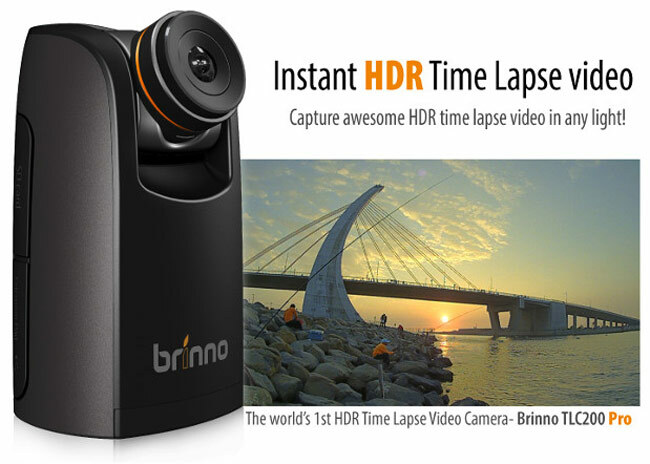 Brinno says that their Brinno TLC200 Pro HDT time-lapse camera is the first of its kind and they have equipped it with a 1.3 megapixel sensor, 1/3-inch in size meaning that the pixels are much larger than on standard sensors. The high performance HDR image sensor and High Dynamic Range of the Brinno TLC200 Pro allows you take time lapse video even against strong light when required. Unfortunately no information on pricing or worldwide availability has been released as yet, but for more information on the new Brinno TLC200 Pro jump over to the Brinno website for details.